Can we create/revive this popular meme? 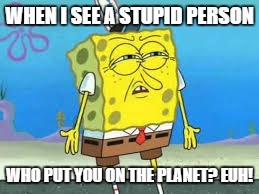 WHEN I SEE A STUPID PERSON; WHO PUT YOU ON THE PLANET? EUH!